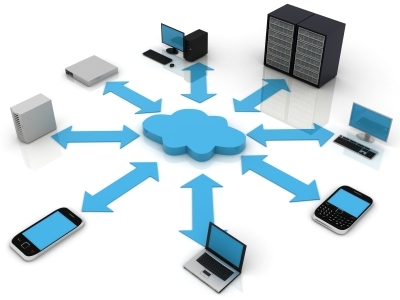 Importance of Cloud Computing Data Backups & Storage & Why Is It Necessary? Cloud Computing has opened up a host of computing services and products both for consumers and businesses. One of the greatest uses has been for heavily encrypted and secure backup systems that protect your precious data from theft or damage. If you own a business that has customer databases, mailing lists, contact details and other personal information then it might be prudent for you to consider a cloud backup for your business critical information. There are some great providers out there that use military grade encryption to protect your data from hackers mining for personal data, such as credit card numbers or banking details. Cloud Computing Backups and Storage also protect your business from data loss during floods, fire, natural disasters or viruses that could infect your IT systems. If your property or business is robbed, you may be able to recover data easily. Cloud computing also lets you just pull the information you need, so no private information is kept on your networked devices, just requested from the cloud when needed. When you deal with business critical information or private information, you have a legal obligation to take reasonable steps to protect that data from theft or misuse in identity fraud. There are serious consequences in failing to do this; it could ruin your business, lose your life savings in fines or theft from data miners. In instances of gross misconduct, you could even face jail time for failing in your duty to protect the private information of your customers, colleagues, employees or clients. There are minimal costs involved with cloud computing backups, so if you think this is a great option for your business or even your home, consider chatting with a “SuperGeek” who can provide you with world class service and advice for your IT systems, both at home or work.